Based on readings and a recent chat with my new holistic dentist (the best in the world!) I was reminded again that the best solution is always the natural! The best way to rinse your mouth is to make your own mouthwash. This one is the easiest, simplest, best, cheapest, most effective, and the least of a mess I’ve ever tried. 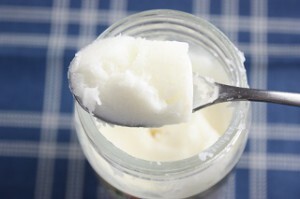 Buy organic, unrefined coconut oil. That’s it! You don’t even refrigerate it and it lasts forever. How to apply it: This is the best part! You take one teaspoon in the morning after brushing teeth (after breakfast of course!!) and melt it in your mouth. Keep it in there for at least five minutes and spit it out. That’s the best mouthwash ever, this is my consumer report describing the best, cheapest, and most effective mouthwash I’ve ever tried. And what I like the most about it is that there is no mess. I did this before with olive oil and had to mix in some water. Tastes somewhat bitter and is a little messy to prepare and use, but also very effective. Coconut oil has no taste at all and using it with a teaspoon is really clean and simple. There is no need to make Colgate any richer and to pollute your mouth with chemical garbage. It works and it’s amazing! Because a lot of the people who browse my blog are IT people, I figured since we talk protection, why not mention Hyper-V backup. Various technologies are in place for local, network, and cloud backup, for Hyper-V as well as VMware and VirtualBox. Check out my post discussing these.